My favorite film of all times is “Braveheart,” which is a film about William Wallace who was a Scottish freedom fighter who lived in the late thirteenth and early fourteenth centuries. In the beginning of the film, William Wallace’s father and brother go off to fight the British, who had just killed a group of Scots who were trying to negotiate with them. William, who was just a young lad, was not allowed to come with them, even though he desperately wanted to go. After days alone at home by himself, William’s father and brother were brought home…dead. The little boy was devastated as he stared at the limp, cold, bloodied bodies of the only family he ever knew. At the funeral, William watched as the earth was being heaped onto his father’s and brother’s bodies simultaneously with the reverent sound of Latin coming from the priest officiating over the committal. Locked in that moment, the little boy tried to come to terms with the fact that this was the last time he’d ever see his father and brother again. What would life be like for him now? Who would take care of him? How would he survive in a world that devoured even strong men like his father and brother? Lost in his grief, the boy stared on, not even noticing that someone even smaller and younger than himself, approached him. A young girl, half William’s age, reached out to him. Noticing the movement, the ten year old boy noticed the five year old girl standing before him. She looked at him with compassion and a depth of understanding that only God could provide. There in her extended hand was a thistle, which is a prickly, yet stunningly beautiful, flower that was also a national symbol of Scotland, perhaps foreshadowing the fate that awaited this young boy who would one day rise up to be the guardian of his people. 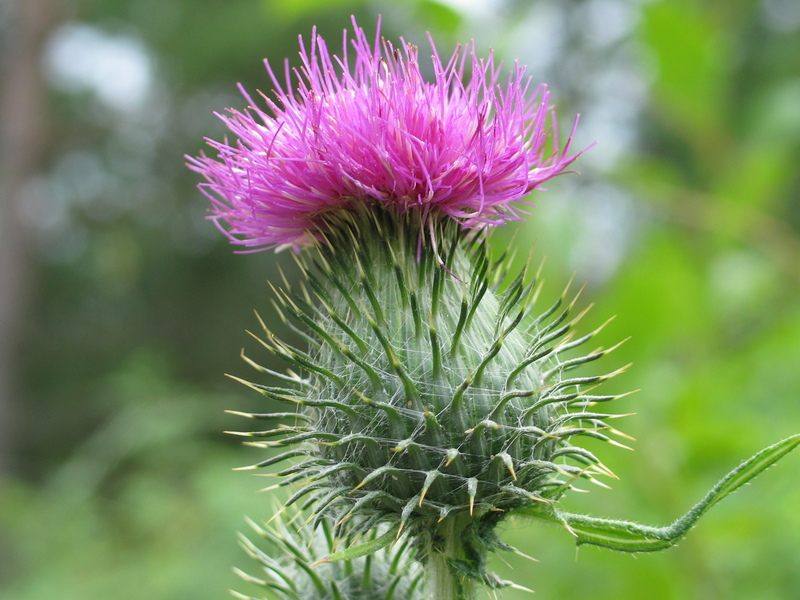 At the sight of the thistle, William began to cry and an eternal bond beyond words formed between him and the little girl who cared to give him the gift of a thistle. We often look at generosity as being the act of giving money; however, as the girl in the story of Braveheart showed, generosity goes far deeper than what one is being generous with. Generosity is not an act, but a state of being. It is not about giving some of what you have, but about being someone who gives whatever it takes to fill others’ needs. Some people need money, some people need food, some people need compassion, some people need forgiveness, some people need healing, some people need hope; however, everyone needs presence. We all need to know that we are loved and cared about. We all need to know that we are worth something, and that we are not alone. Jesus modeled generosity, and what it means to be generous, for us. It wasn’t that he was rich, or had great possessions, or had status, or had anything other kind of materialistic commodity to give. Jesus was a poor peasant preacher from Nazareth, and as Nathaniel pointed out in John 1:46, “Can anything good come from Nazareth?” Yet, Jesus was generous as he gave whatever it took to fill the needs of the people he came across. He gave them presence and the assurance that they were not alone, the assurance that God was truly with them. From that presence came hope, healing and wholeness. Today’s challenge for us is to be a people of generosity. Let us rise up to the challenge to be present in the lives of those who are in need. Be a friend to someone who is outside your group. Be there for those who seem outcast and alone. Be someone who gives whatever it takes to fill the needs of others. God, through Christ, did no less for us and we, as Christians, have accepted that gladly. It’s time we lived up to that example and became a people of generosity too! Be generous and give as freely as you have received. Lord let me heart be overflowing with love so that my being becomes a fountain of generosity. Amen.